AV Fistula for dialysis surgery allows your dialysis treatments to be quicker, safer and more efficient. If you are suffering from kidney failure or if you have had a kidney transplant you will need to undergo dialysis on a regular basis. During the dialysis process your blood flows out of your body through a tube and into a dialysis machine where it is “cleaned” then returned to your body through a second tube. The access points for these two tubes are called access portals. These dialysis access portals must be established by a vascular surgeon. At The Vein and Vascular Institute of Spring Hill, our Board Certified Vascular Surgeons are experts in creating dialysis access portals for patients needing regular dialysis treatment. The procedure is usually performed on an outpatient basis, which means you can go home the same day the surgery is performed. The surgery is usually performed under general anesthesia or in some cases, under sedation. There are two types of portals that are placed under the skin’s surface, Arteriovenous Fistula (or AV Fistula, also known as a Hemodialysis Fistula) or an AV Graft. 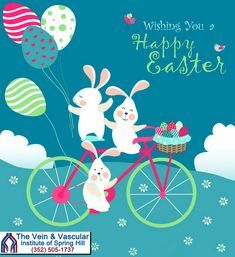 An arteriovenous fistula for dialysis is created when your vascular surgeon connects one of your arteries to one of your veins. When the artery is connected to the vein more blood volume is allowed to flow through the vein. In response to this, your vein stretches and it becomes stronger. In the weeks following the AV fistula surgery, the fistula begins to mature and the vein increases in size and may look like a rope under your skin. This is good because more blood can now flow through that vein and will make the dialysis process more efficient. It typically takes 3 to 6 months for the fistula to mature to a point where the vein is large enough and strong enough for dialysis technicians and nurses to easily insert the dialysis needle. An arteriovenous graft for dialysis is created when your vascular surgeon connects one of your arteries to one of your veins using a man-made tube, made of plastic or other synthetic material instead of using your own tissue. Within 2 to 6 weeks following AV graft surgery, and after it has healed sufficiently, the graft could be ready for the dialysis process. AV Grafts are typically used as an alternative to AV fistulas when your vein is blocked or if it is too small to use. Fistulas are usually preferred to grafts since fistulas are constructed using your own tissue which is more durable and resistant to infection. Depending on the condition and health of your veins and arteries at the access point, the vascular surgeon can construct the fistula or insert the graft through one simple incision in the arm you use the least. After the dialysis access surgery is complete and you go home to recover, you should keep your arm raised above your heart to minimize swelling and pain. Pain medication may also be prescribed by our doctors if you experience intolerable pain in the area of the dialysis portal incision. It is recommended to keep the incision dry for the first two days after surgery and the incision should not be soaked or scrubbed until it is completely healed. Also, you should not lift anything heavier than 20lbs until healing is complete. If your doctor has prescribed you dialysis treatment, then you can let the Board Certified Vascular Surgeons at The Vein and Vascular Institute of Spring Hill insert your dialysis access portal for you to make your dialysis treatments safer, more efficient and faster. To make your appointment, give us a call today at (352) 505-1737.